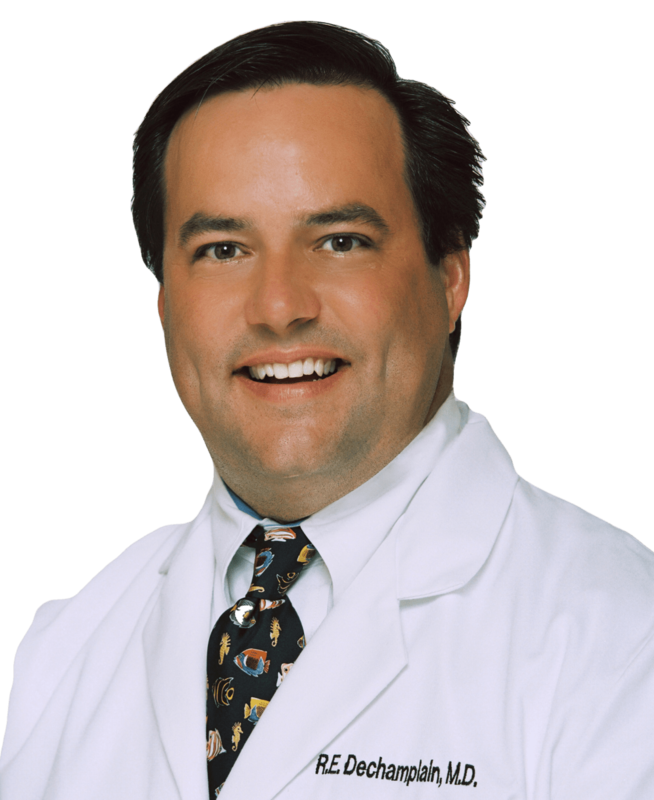 Dr. Richard E. DeChamplain began his medical training in 1988 at the Medical University of South Carolina in Charleston. Graduating in the top of his class, Dr. DeChamplain entered an internship of Internal Medicine in 1992. In 1993, he began his Ophthalmology training at the Storm Eye Institute at MUSC. During his medical school and residency training, Dr. DeChamplain served as both student/faculty liaison and Chief Resident of Ophthalmology. Dr. DeChamplain, as a resident, participated in the clinical investigational studies of the FDA leading to the approval of the Excimer laser for use in Laser Vision Correction. Dr. DeChamplain has performed thousands of refractive procedures and has trained many of South Carolina's ophthalmologists in the techniques of LASIK and PRK. Dr. DeChamplain's patients are people from all walks of life, including: attorneys, physicians, police, firemen, senators, judges, golf pros, entertainment personalities, even the ambassador from Egypt. Dr. DeChamplain has used five different lasers from the early first generation lasers to the latest third generation models. He currently performs procedures using Coastal Eye Groups very own S4 VISX Laser with Wave Scan Custom View Technology. Dr. DeChamplain is Board Certified by the American Board of Ophthalmology. He is a member of the American Academy of Ophthalmology, the American Society of Cataract and Refractive Surgery, and the American Medical Association.